Since beginning of the programme, the topics of cooperation have been annually agreed by the Dialogue partners, DG REGIO and NDRC. This section gives an overview of some of them. EU regional policy is a cornerstone of a complex multi-level governance system comprising supranational, national and regional levels. A cooperative institutional setting responsible for regional policy outcome shapes the interests and preferences of diverse stakeholders. This innovative multi-level and partnership-based approach has become “one of the main keys to the success of the process of European integration” . Within the EU, there are about 95.000 local and regional authorities with competences in different areas of regional development. Moreover, as they implement 70% of European Union’s legislation, local and regional authorities aim at becoming a stronger role in European regional policy making. This integrated approach of EU cohesion policy ensures cooperation between multiple levels of government. By these means, consistency and synergy between different policies is increased. Multi-level governance and partnership in EU cohesion policy is currently entering into a new stage within the programming period 2014-2020. In China, the main instrument of China’s economic and overall planning is the five-year plan (FYP), drafted by NDRC. The FYP set measures at each level of government – national level, province level, city level, and county and district levels. Each level has its own FYP, which relates to the national FYP. NDRC ensures that national and lower-level FYPs are synchronised. NDRC officials have explained their interest in learning experiences of the European Union related to multi-level governance, especially with regard to the coherence of policy levels and the integrated approaches for regional and urban development. Under the current financial framework 2014-2020, European Territorial Cooperation (ETC) accounts for about €9.62 billion. Since nearly 37.5% of the total EU population lives in cross-border areas, territorial cooperation has a large impact in promoting European integration. Cross-border, transnational and interregional projects deliver visible benefits for a vast amount of citizens. The European Union has defined four macro-regions based on common features or challenges that can be tackled in a cross-regional dimension: the Baltic Sea Region, the Danube region, the Adriatic/Ionian Region and the Alpine Region. 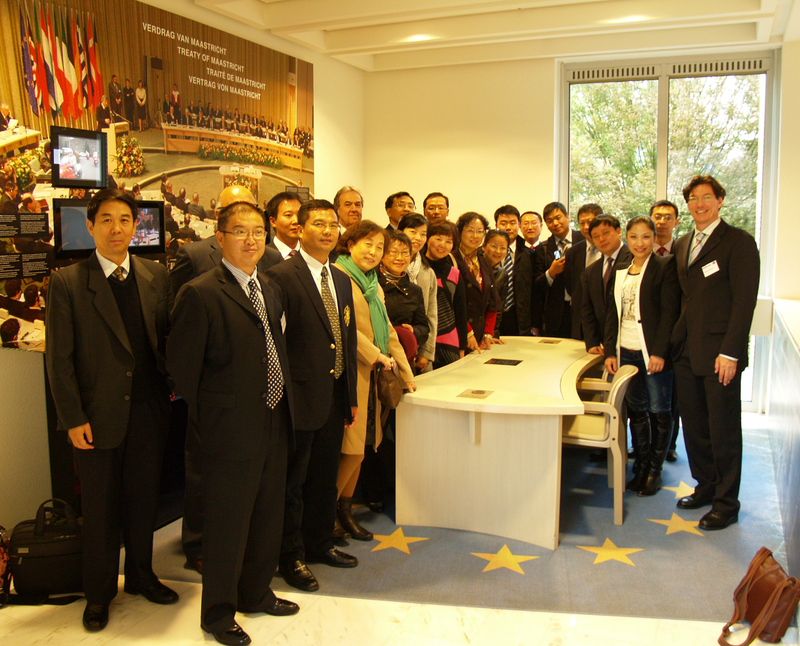 In China, the cooperation across provincial boundaries is also a key issue of regional development policy. According to information of Chinese NDRC experts involved in the CETREGIO programme, the potential for China to promote cross-border cooperation within the country is huge, especially in the Yangtze River or between Beijing, Tianjin and the Bohai Rim. 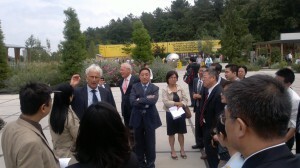 Chinese experts have also stated that strong localism hinders coordinated economic development. The development of functional zones is crucial in order to avoid negative competition among cities. This is also a major issue in European regions. Therefore, the CETREGIO programme facilitated visits of European delegates to cross-border cooperation areas in China. This was the case for the Bohai Rim area (Tianjin and further 40 cities covering the broadest cross-border area of China), the Yangtze and the Pearl River. Strengthening urban-rural linkages stands at the centre of EU’s cohesion policy efforts towards achieving sustainable development in Europe. 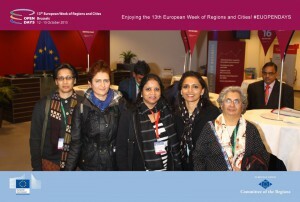 According to ESPON, polycentric development must integrate both a top-down European perspective with a bottom-up view embedded in local urban systems where the daily-life of population enfolds . Polycentric networks of small and medium sized cities “have the potential to counterbalance the dominant position of major metropolises in Europe” . The current EU Territorial agenda 2020 aims at integrating governance and planning based on broad partnership principle. It also welcomes place-based strategies developed locally to address local conditions. For the EU, small and medium sized towns in rural areas play a crucial role. It is therefore important to improve the accessibility of urban centres from related rural territories to ensure the availability of job opportunities and services of general interest. Metropolitan regions should also be aware that they have responsibility for the development of their wider surroundings. This is crucial for issues like shaping migration from rural areas to cities and globalising local economies (Europe 2020 Strategy). 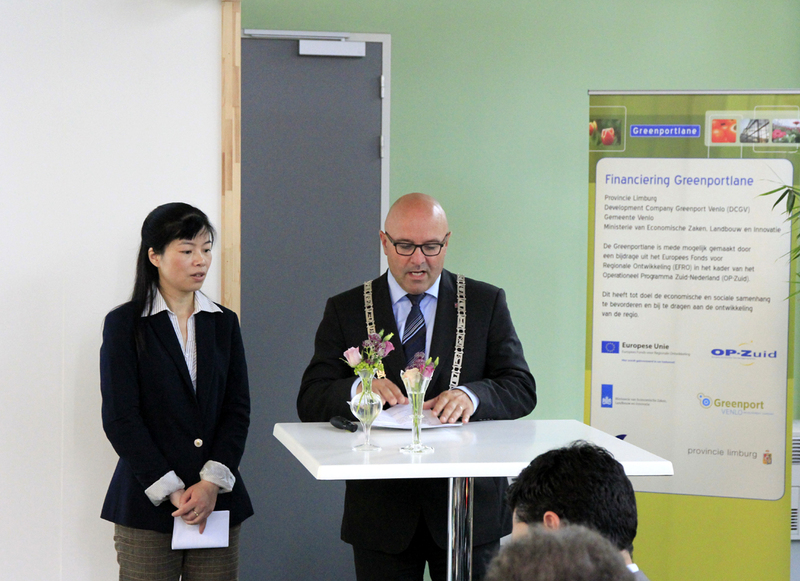 By using the European Regional Development Fund (ERDF), the Commission finances a wide variety of projects in key areas to enhancing competitiveness through urban-rural integration. 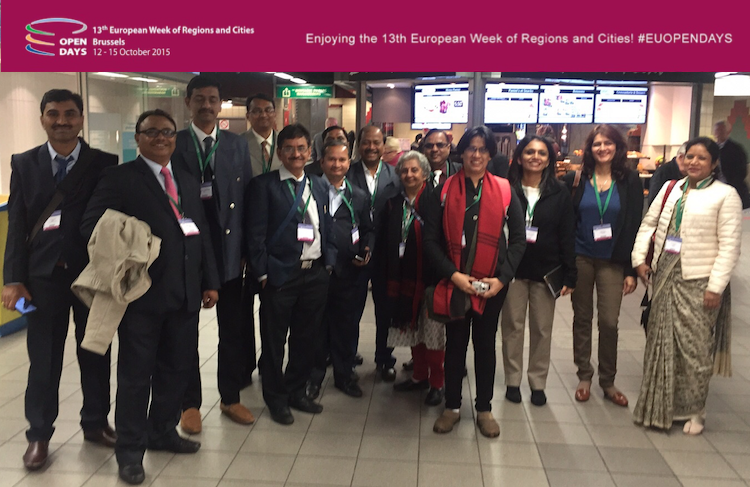 The EU offers a wide scope of best practices of national and cross-regional city clusters, city networks and functional urban areas. Many of these have been presented to NDRC delegates since 2011. In order to tackle support balanced territorial development, China’s administration is permanently improving its systematic and efficient regional development and land use policy at national, provincial and local level. Chinese NDRC experts involved in CETREGIO have expressed that China has well developed plans for urban-rural cooperation at national and provincial level. It does however lack of funds for the implementation of long terms programmes that ensure urban-rural cooperation on equal terms. China requires a systematic mechanism of rural-urban cooperation in order to set incentives for peri-urban cooperation. Chinese delegates have stated that training is necessary for rural habitants in order to develop bottom-up solutions and to trigger a mind-set change. Also in the European Union, cities are the centres of economic activity and population, accounting for 67% of EU’s GDP and 68% of EU’s population. In contrast to China, the European Union is characterised by a polycentric urban development with 56% of its urban population – around 38% of the total European population – living in small and medium-sized cities and towns of between 5.000 and 100.000 inhabitants . Only 7% of the EU population live in cities of over 5 million inhabitants compared to 14.4% in China . Similar to China, European cities are confronted with challenges ranging from specific demographic changes (some of them are shrinking and aging whereas other are expanding), job creation, social progress to congestion, air pollution and energy consumption. Urban sprawl puts additional pressure on public services, natural resources and congestion. According to the European Commission, 70% of European Union’s GHG emissions come from its cities . Globalisation has led to a loss of jobs – especially in the manufacturing sector – and this has been amplified by the current economic crisis. Green growth of cities offers a key opportunity to create jobs and ensure prosperity in Europe. In China, rapid urbanisation leaded to the development of clusters of megacities and urban sprawl, setting enormous challenges to regional planning in China. From 1949 to 2013, the number of cities increased from 132 to 654, and the urbanization level rose from 7.3% to 52.3%. There are currently 85 metropolitan areas with more than 1 million people. Forecasts show that urban centres will keep growing at a high rhythm, particularly the so-called ‘second-tier’ and ‘third-tier’ cities. This dynamic growth increases pressure on social services, water , energy, transportation and housing infrastructure. The enormous quantities of untreated wastewater and waste as well as air pollution as well as the ineffective use and management of water are serious constraints that hamper sustainable urban development. Resource efficient production and consumption have therefore to be tackled hand in hand with the massive dissemination of end-of-pipe technologies to contain environmental pressures arising from growth of cities, e.g., in the areas of air pollution and water and sanitation. Chinese NDRC experts involved in CETREGIO activities have stated that policies favouring cities as the engine of economic development are rather simplistic, since do not measure the impact of urban development in the surrounding regions. Economic growth grounds on the capacity of regional economies to change and innovate . Regions and cities have become the primary spatial units where knowledge is transferred, innovation systems are built and competition to attract investments and talents takes place. Innovation and research policies are initiated at several levels: European, national, regional and local. However, regions are the most suitable level for stimulating innovation, and – in fact – many regional governments have important competences and budgets in this field. The role of regions as stimulator and co-ordinator of regional innovation systems is crucial, while a good co-ordination between national and regional policies is necessary. However, there seems to be not a one-size-fits-all strategy for setting the best level of decentralisation to support regional innovation in each Member State. Cohesion policy plays a key role in supporting regional innovation, helping regions to implement regional innovation strategies (RIS) and smart specialisation actions based on cooperation between industry, university and government (Triple-Helix). In the EU, there is a considerable diversity in regional innovation performance not only across member states, but also within themselves. 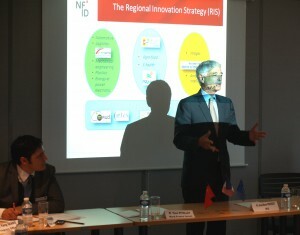 Several CETREGIO activities carried out in Europe and China have focused on the regional innovation issue. In China, the technological capabilities in the broader Chinese industrial sector remain at a moderate level. Economic development still depends on upgraded but still labour intensive production . The Chinese innovation system is characterised by fragmentation and a technological and organisational mismatch between its main domestic players . Partly different from Europe, innovation is highly concentrated in Beijing and certain coastal areas like Tianjin, Guangdong, Jiangxi and Shanghai. In its twelfth Five-Year Plan (2011-2015), China lists the promotion of scientific and technological progress and innovation as a major tool for supporting strategic economic restructuring, while aiming to be the world’s scientific leader by 2050. China’s provinces and cities are keen to contribute to the drive towards innovation and several of China’s companies have emerged as able innovators. According to the Innovation Scoreboard 2013, the EU27 is performing better than China in most indicators. 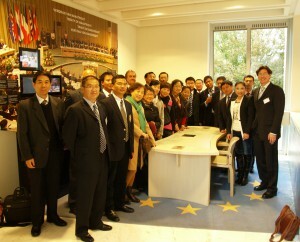 Within the CETREGIO programme, European delegates have been able to establish direct relations with several innovation hubs in China, including the Beijing E-Town, Tianjin Economic Development Areas (TEDA), Wuhan East Lake High-Tech Industrial Park and the Guangzhou Development Districts (GDD). The consequences of climate change could hardly affect Chinese cities, challenging dry areas in the Northeast. In addition, water-related natural hazards could become major challenges to Chinese cities, especially as the majority of China’s cities are located in coastal areas. A major issue of concern is the quality of air. As noted during in February 2014, Beijing’s air pollution reached unprecedented values forcing authorities to limit economic activities. China has cities exposed to high concentration of particulate matter. Coal-burning energy plants are the major energy source for Chinese factories and for private heating, but they also spew out toxins into the air. Although the government has taken significant steps to combat pollution in the last decade, there is still a lot to do including improving monitoring and inter-municipal cooperation.